These are the bright flavors of Mexico. Sweet roasted tomatoes and fresh cilantro lace with a touch of earthy red chile and sparkling orange. Perfect with chips, on a burger, or mixed with cream cheese as a veggie dip. 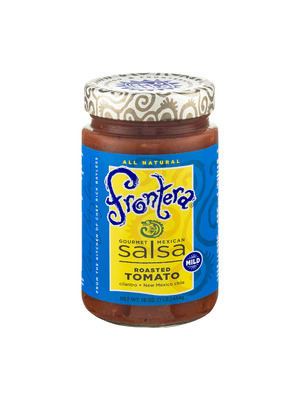 You can taste our dedication to small-batch salsa made from fresh ingredients. Tomatoes, orange juice from concentrate, tomato paste, onions, garlic filtered water, apple cider vinegar, salt, mild red chiles, spices. Product is 100% gluten-free.